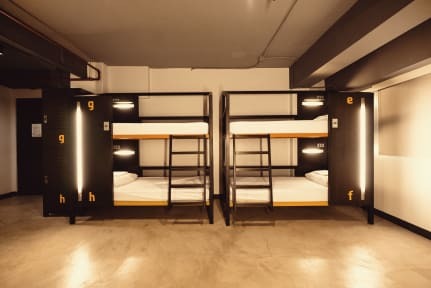 The six-floor hostel comprises of 22 ensuite rooms with a total of 144 beds for you to stay while exploring Manila. Hostel is located in Poblacion Makati, hostel capital of the Philippines. There are a lot of bars and retaurants offering different cuisines to satisfy the palate and fills up the belly. Coworking space for travelers who likes to mix business with pleasure. to recover from your flight, we offer a 24 hour cafe and bar. Share a nook with other backpackers or snuggle in your own private room in this latest property in the area. No visitors allowed in the room. Guests may accommodate visitors in the Lobby, 2nd floor area. 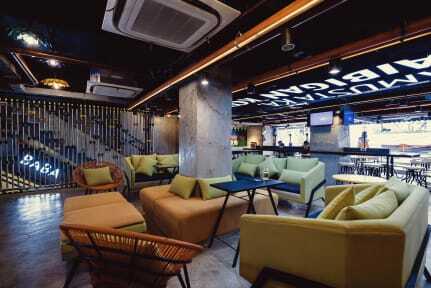 Food and Beverages are only to be consumed in the lounge area located at 2nd Floor. Food and Beverage of any kind are not allowed in the rooms.